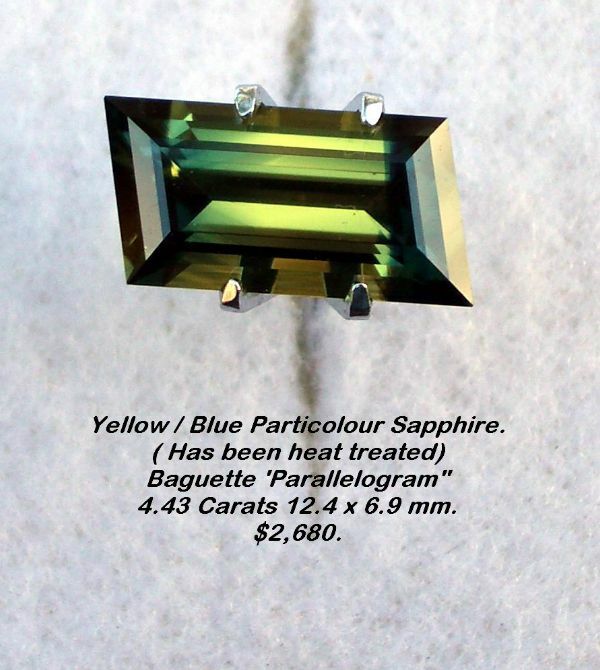 The intent of this website is to provide a vehicle for selling genuine natural Australian gemstones, and vendors are required to provide guarantees to this effect. Intending purchasers should read the conditions outlined in the Vendors' Application Form, including the Note at the bottom of that page. 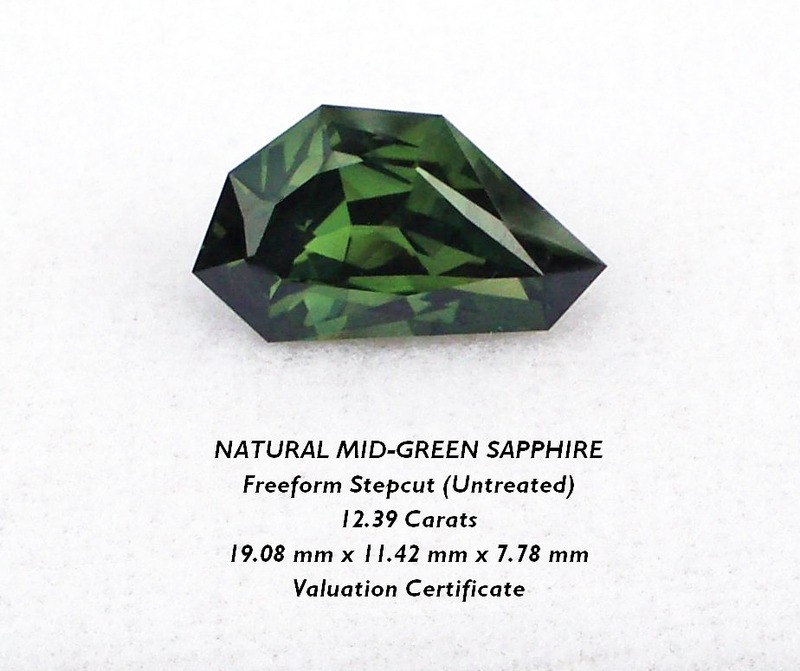 Purchasers are encouraged to request a clearly worded, unambiguous Certificate of Authenticity for any significant gemstone they purchase, whether it is from this website or elsewhere. Advertisers: Please check your stones for pricing and detail. An enquiry notification will be placed on stones listed below and owner contacted where possible. If the icon (left) appears on your stone - click it to email your current address and contact numbers. 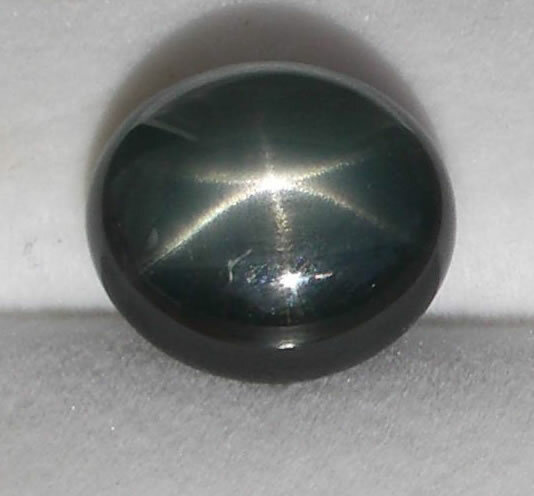 (Cat222) 11.45ct Bronze Star Sapphire displaying 6 ray star asterism. 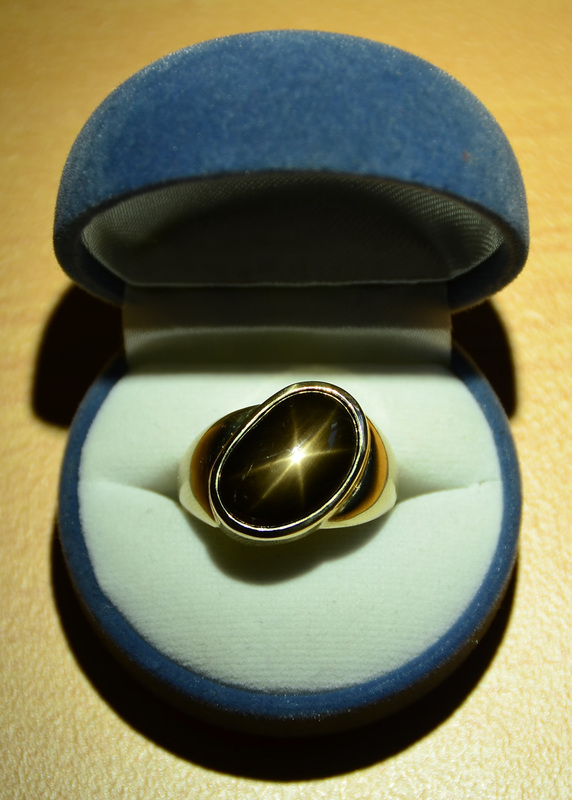 9ct gold dress ring. Unique Men’s or Woman’s handmade off-set design setting. 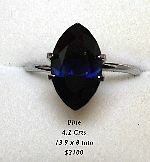 Sapphire measures 18mm x 12mm x 4.9mm, oval cut. Genuine untreated. Found at the Willows, Qld. 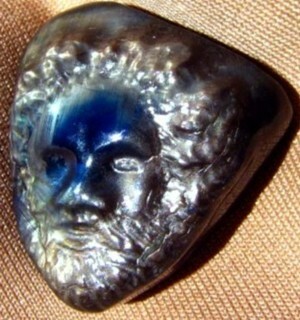 Oval Medium Cabochon - Paul Goodson, the Willows, Qld. Handmade Setting - Faye Lymbery, Rubyvale Qld. Certificate of Valuation provided by registered Valuer, Gemmologist and Diamond Cutter. 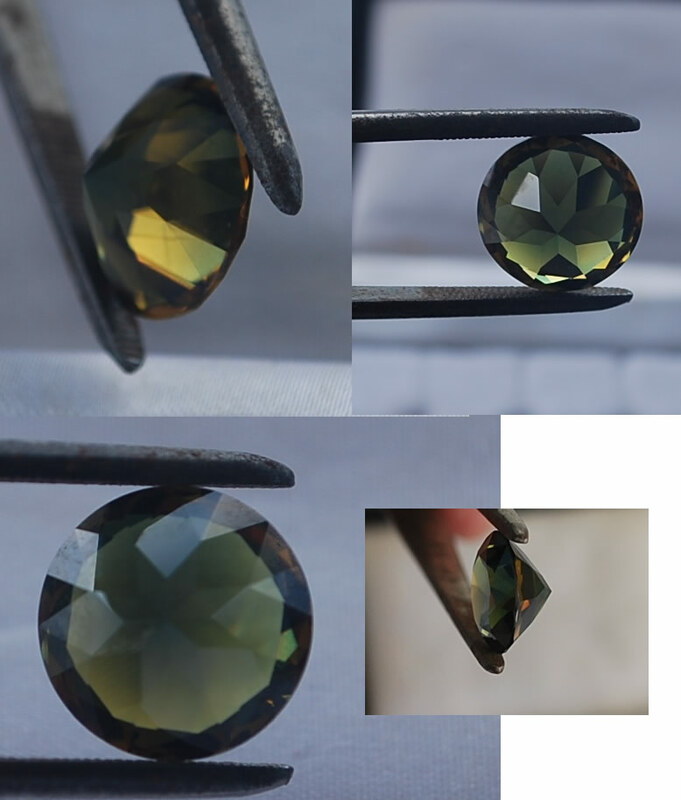 (Cat221) 10.04 ct Round Brilliant cut Dark Green (Gum Tree Green) Sapphire with yellow colour zone, fine rutile silk intrusions confirming natural stone. 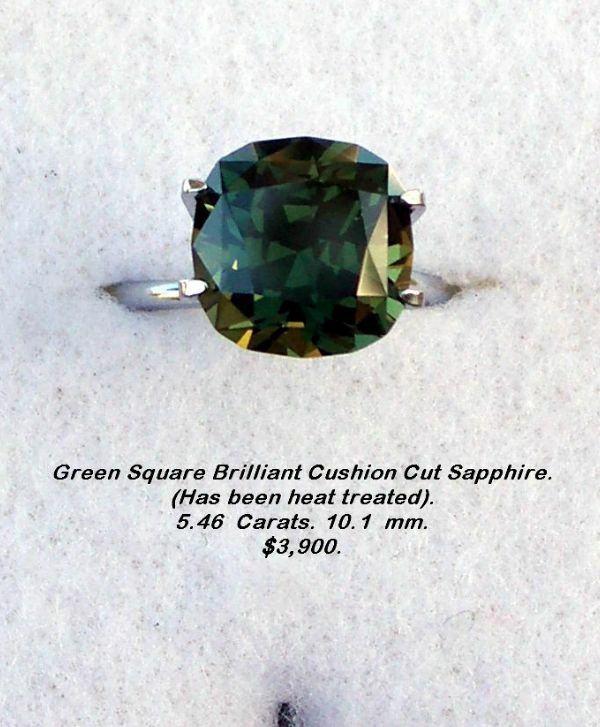 Cut & polished by Graham Richardson, Emerald. 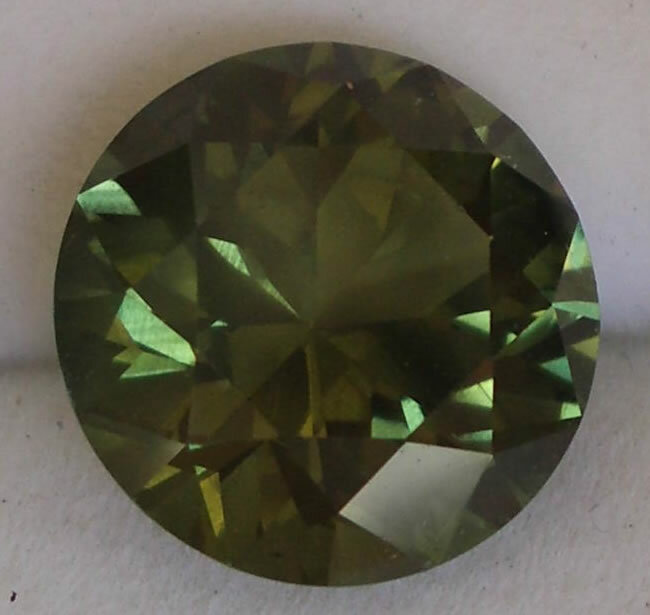 This sapphire displays a bright green colour with some fine straight blue colour banding, 10x loupe clean clarity. 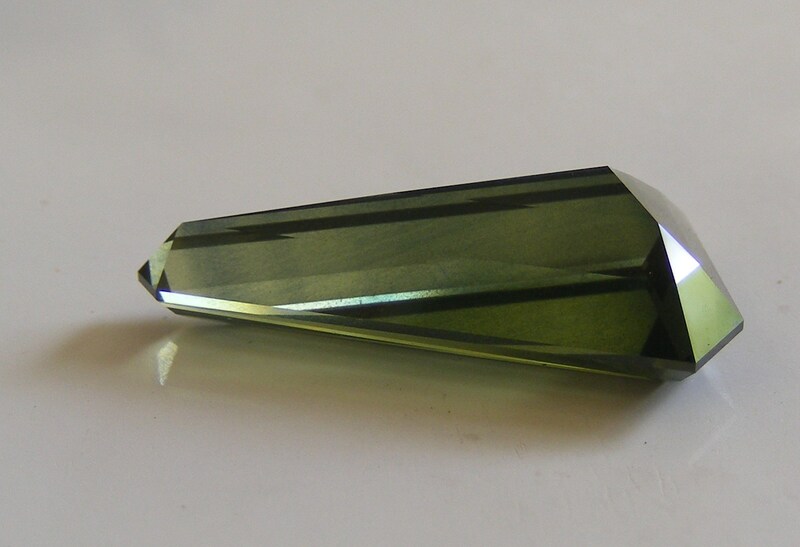 Origin : Willows Gemfield and faceted by Max Bradley, Rubyvale, QLD. Predominantly green with golden yellow core when view through axis. the surface condition is as found and has NOT been treated in any way. 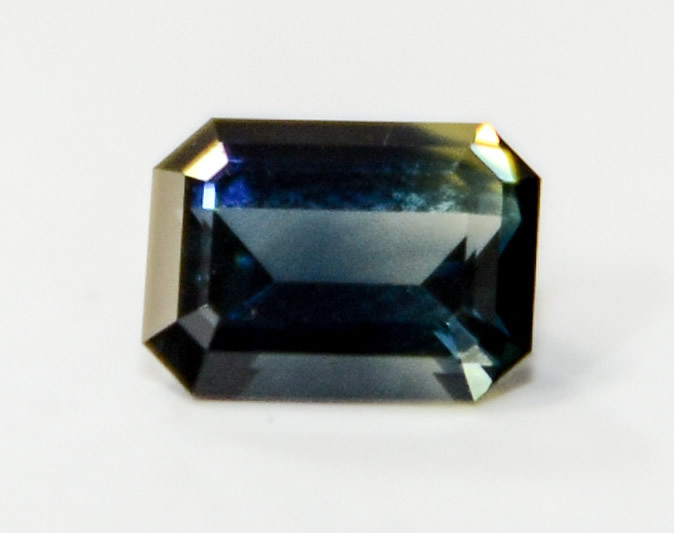 Untreated Blue Sapphire - good cut with light angular banding otherwise clean. Origin : Wellingrove, Northern New South Wales. 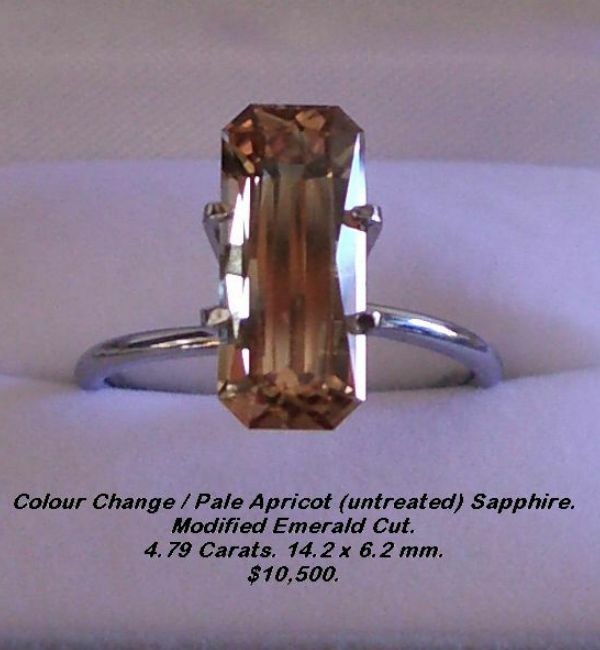 Untreated Natural Sapphire - Golden Orange with colour change. 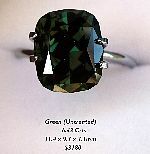 Discovered 1992 at The Willows Gemfields - original stone was 83.5Cts. Cut by Russell Shawmarsh - this round brilliant was the largest gem from the original rough. 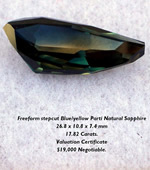 Untreated Natural Sapphire - Blue Yellow Parti Colour. Discovered 2003 at The Willows Gemfields - cut the same year by Russell Shawmarsh from Rubyvale. weighing 18.43 carats, has multi row pavillion. (Color Grade) = 7 Fine, Plus reading = 0.102, Overall grade standard = 7.5 very good grade. (Measurements) = 14.82 x 14.82 x 10.09 mm. This Gem high-quality and rarely seen, featuring fine color, with good clarity and cutting. 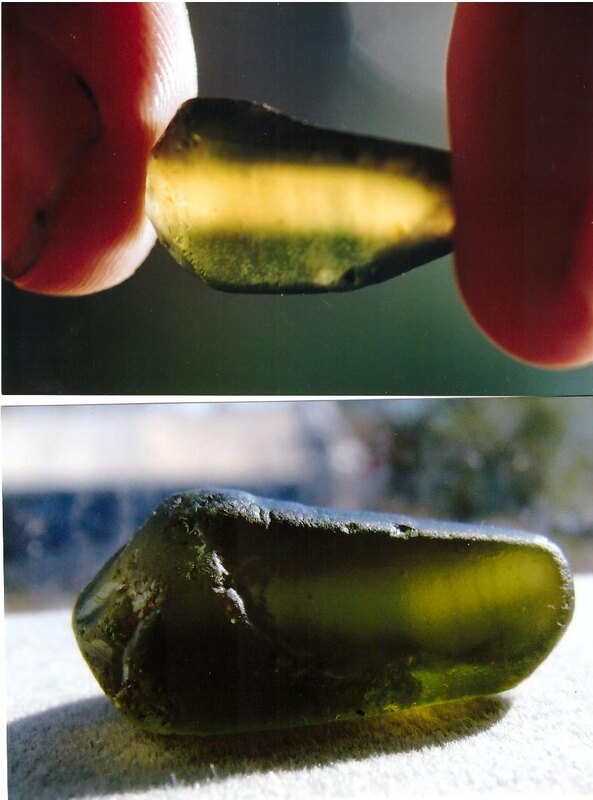 (Cat210) These two natural mid green sapphires were cut from a 123.5 carat rough found at Glenalva, Central Queensland in August, 2006. They were faceted by Russell Shawmarsh in Rubyvale. Neither stone has been heat treated in any way. 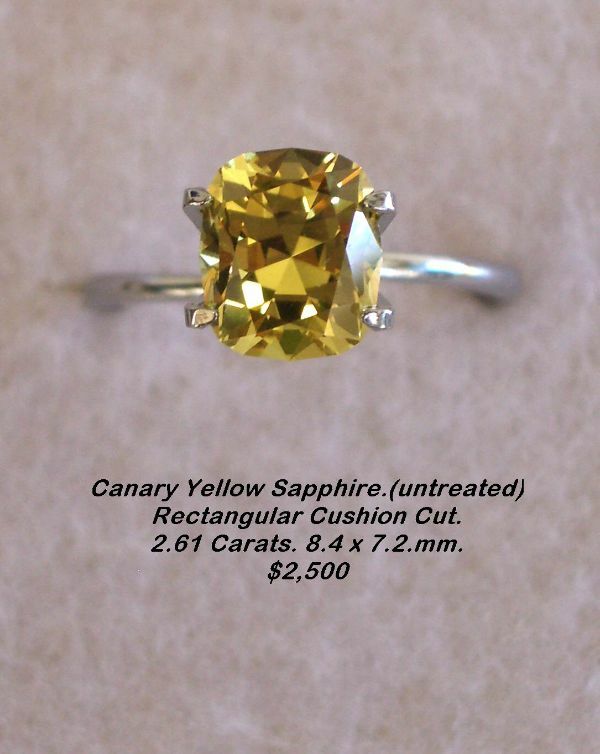 Insurance Valuations and Gemmological Reports are available for both stones. 1 - Freeform step cut measuring 19.08 x 11.42 x 7.78mm and weighing 12.39 carats. 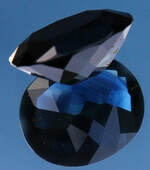 2 - Modified round brilliant measuring 16.44 x 16.42 x 11.32 mm and weighing 22.77 carats. Overall - (Color) = Orange - Warm - dark - brownish. 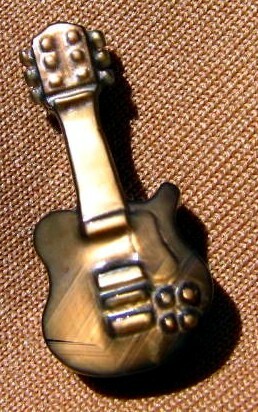 (perceived color is bronze Color Abbrev.Grade) = H_O /T_7 /S_1 (Color Grade) = 5 Good, (Color Code) = H23_T16_S12 (Shape) = Carving - Guitar (Measurements) = x 23.5 x 6.15 mm. 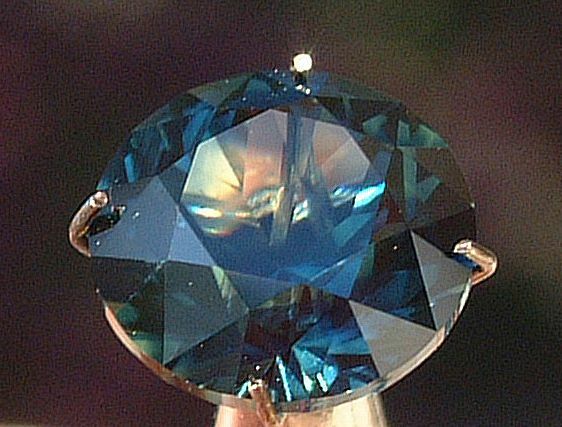 (Weight in Carats) = 12.719 (Gem Cut Grade) = Cab - Fine Grade (Gem Clarity Grade) = Cabochon - Fine Grade (Fluorescence) = Inert (Polish) = 4-6 Good. (Overall grade standard = 6 Good Upper Grade). 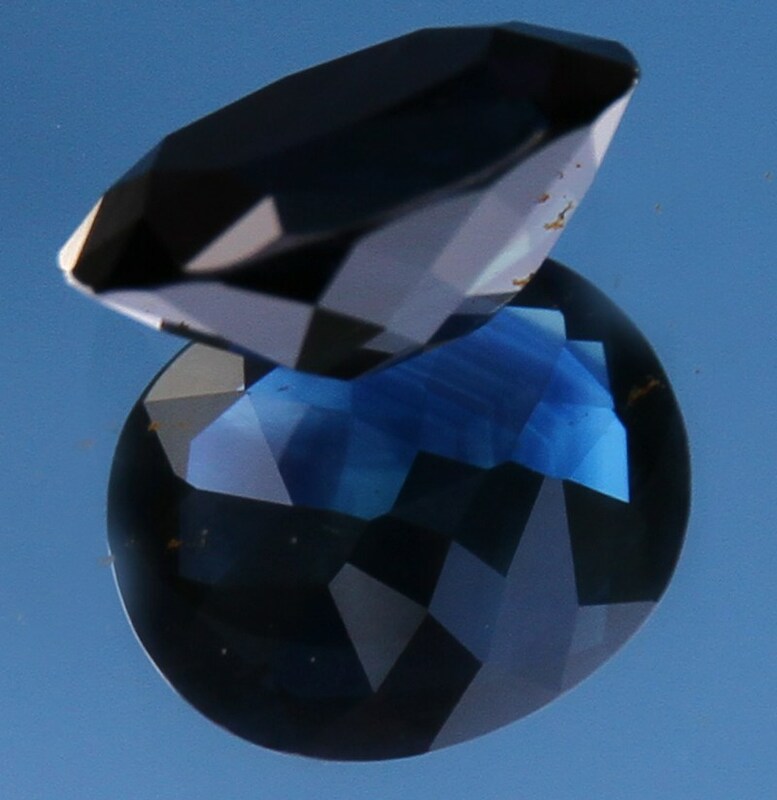 (Cat208) 1x Sapphire - Fancy - Australia Type -Aboriginal carving (Qld Central Highlands). Comments: (Color) = Green-very strongly bluish - Cool - dark - grayish. (Color Grade) = 4 Commercial, H_vstbG ff 7 /S 1. (Color Code) = H140_T23_S5 (Shape) = free Form - Carving (Measurements) = 26 x 25 x 9.2 mm. (Weight in Carats) = 68.52 (Gem Cut Grade) = 5 Good - Middle (Gem Clarity Grade) = Cabochon - Medium Grade (Fluorescence) = Inert (Polish) = 4-6 Good . Note: This stone has not been heat treated, changed or modification what so ever. Aboriginal Head carving is of a good standard and graded as 5/10. (Color) = Red-Orange/Orange red - Warm - dark - slightly brownish, perceived as bronze color, (Color Abbrev.Grade) = H_RO_OR /S_2, (Color Code) = H, 3_T2C_S''. (Coln Grade) = 5 Good. 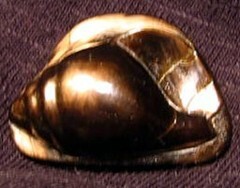 (Shape) = Carving - Shell (Measurements) = 17.93 x 25 x 9.38 mm. (Weight it Carats) = 37.458 (Gem Cut Grade) = Cab.- Fine Grade (Gem Clarity Grade) = Cabochon - Low Grade (Fluorescence) = Inert (Polish) = 4-6 Good. (Overall grade standard = 4.0 Commercial Upper Gracie). Notes: Located series of areas of strong color zoning, growth banding (sergeant strips), and two healed inclusions in shell base. It appears that this stone has not been heat treated, to alter its color or clarity. 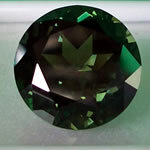 It is quite common/usual for natural gemstones to have same level of inclusions present. 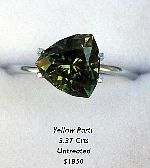 Mined at "Washpool" Reward by owner. (Cat201) 157.242cts - Sunseeker Stone - best yellow/green/blue particolour sapphire recovered from the Queensland gemfields recently. 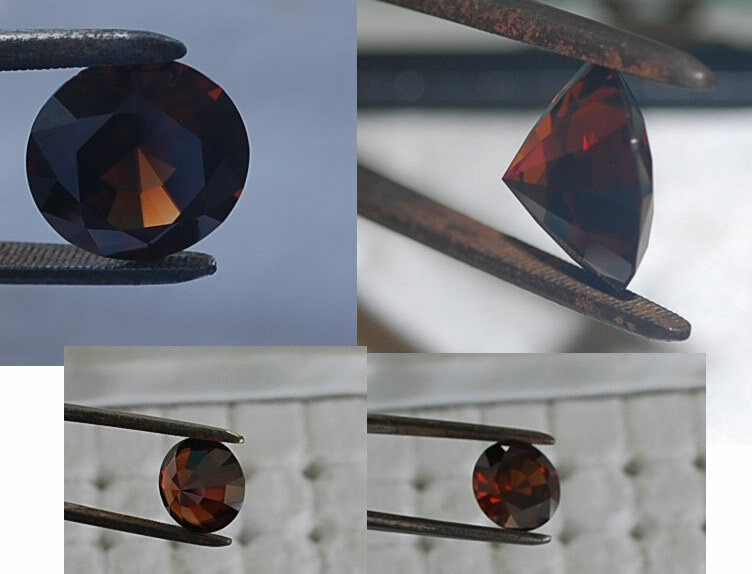 Heat Treated Bill Hagan of Ruby Vale - to clear stone, no colour change. 8.6 mm. Soft pink in incandescent light. Classic fine quality "Aussie Blue"
light yellow with blue on girdle. 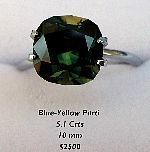 (Cat BP5) 5.1 ct. 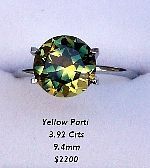 Cushion cut square blue-yellow parti, 10 mm. Shows blue, green and yellow lights. 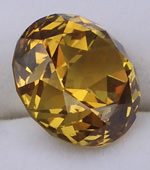 (Cat Y7) 5.57 ct. Round, light yellow with blue on girdle. (Cat F5) 5.77 ct. Pear shape light pink and blue parti. New England origin. The pink intensifies in incandescent light. 12.5 x 10 x 7.2 mm. 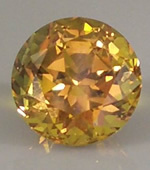 (Cat Y8) 5.78 ct. Trilliant cut yellow parti,10.9 mm. Fine mid-yellow with light blue banding. 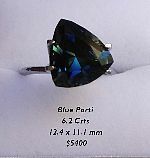 (Cat BP2) 6.2 ct. Triangle, blue particolour. 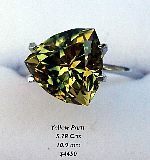 (Cat G1) 6.6 ct. Round brilliant cut lime green, colour change from light lime yellow to pale silvery pink in incandescent light. 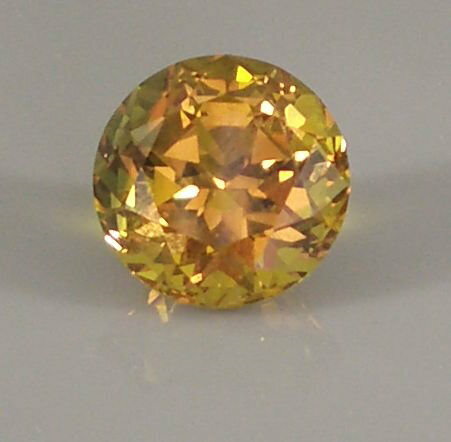 (Cat G2) 6.8 ct. 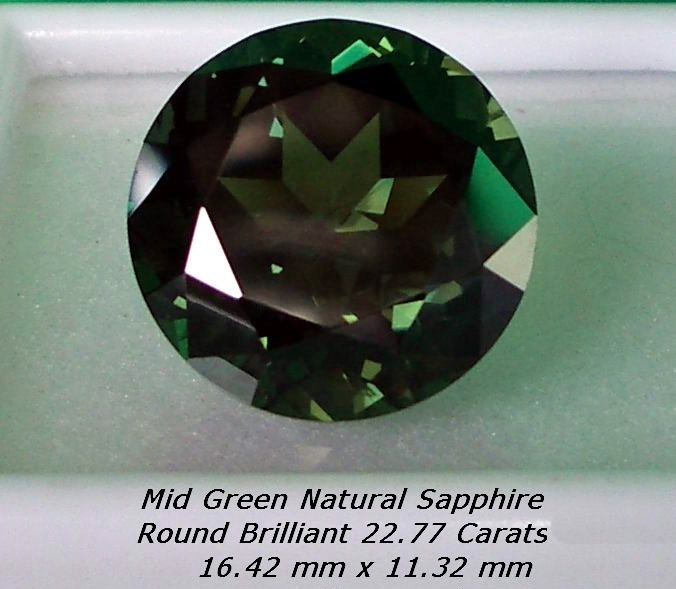 Round brilliant cut green parti. 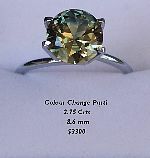 6.9 ct Harts Range (N.T.) 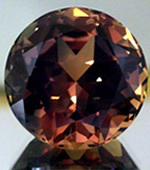 ZIRCON, oval step-cut, deep pink. 11.4 x 9.7 x 7.1 mm deep. 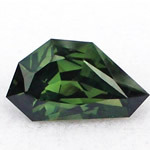 (Cat G6) 6.91 ct. Trilliant cut green parti. 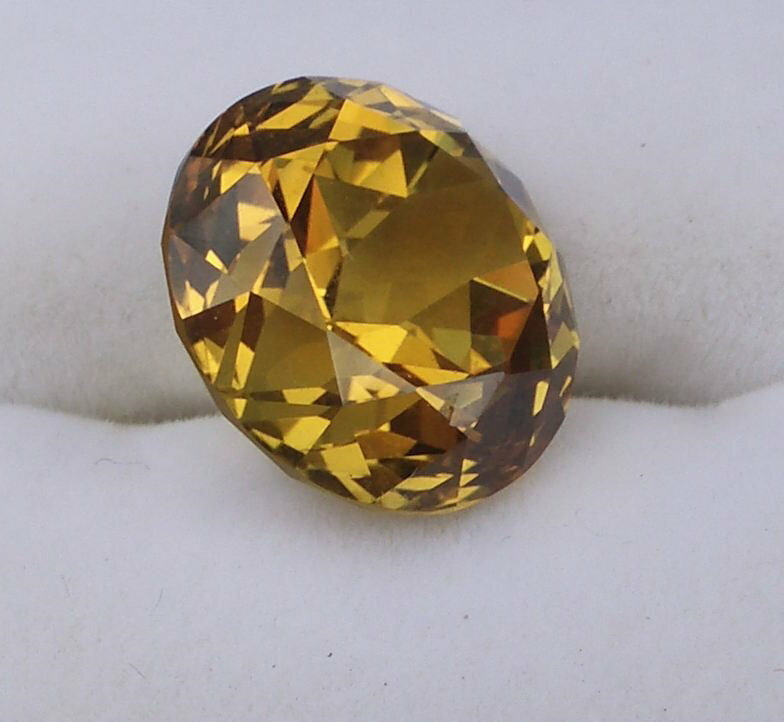 8.97 ct. Harts Range (N.T.) ZIRCON. Oval step-cut, mid pink. 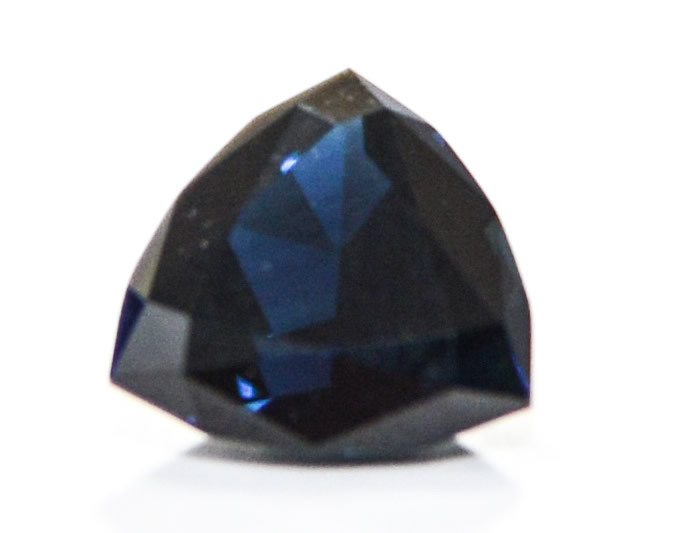 These sapphires are most likely to have undergone a simple heat treatment unless otherwise described. The above prices do not include GST so, for Australian customers, GST should be added. The true nature of the stone. Any treatments that have been applied to the stone. The place of polishing or faceting. The correct dimensions, weight, cut and any known inclusions or flaws. 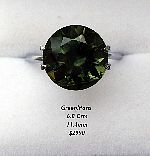 The Gemstone must be natural and of Australian origin. 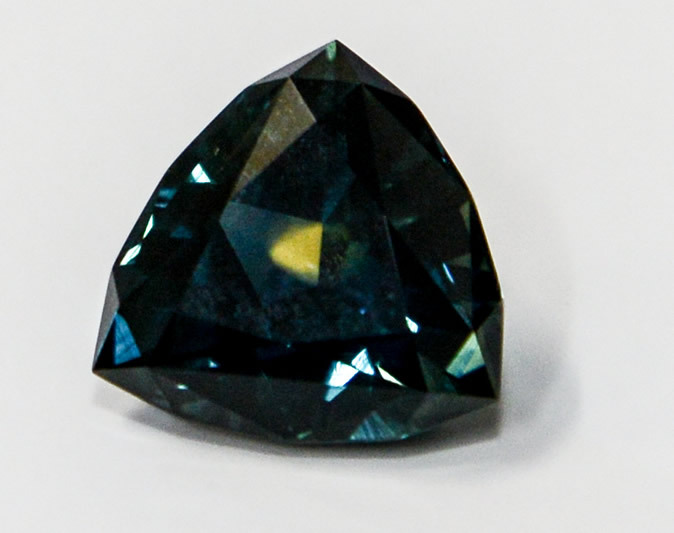 No Beryllium treated sapphires or other forms of chemical modification. 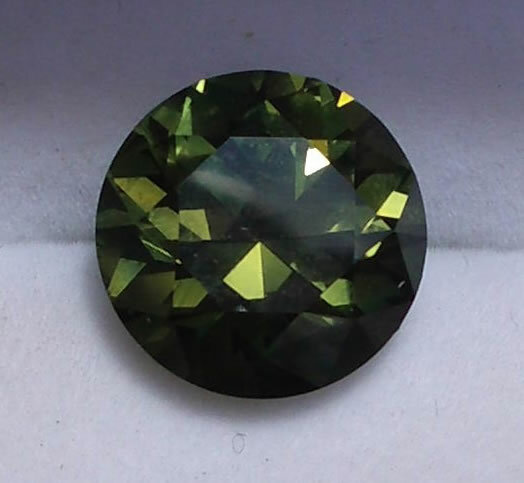 No dyed or otherwise artificially coloured stones. Vendors wishing to submit an Australian Gemstone for sale must complete the Application Form below. There is a cost of $20.00 to place the stone here. 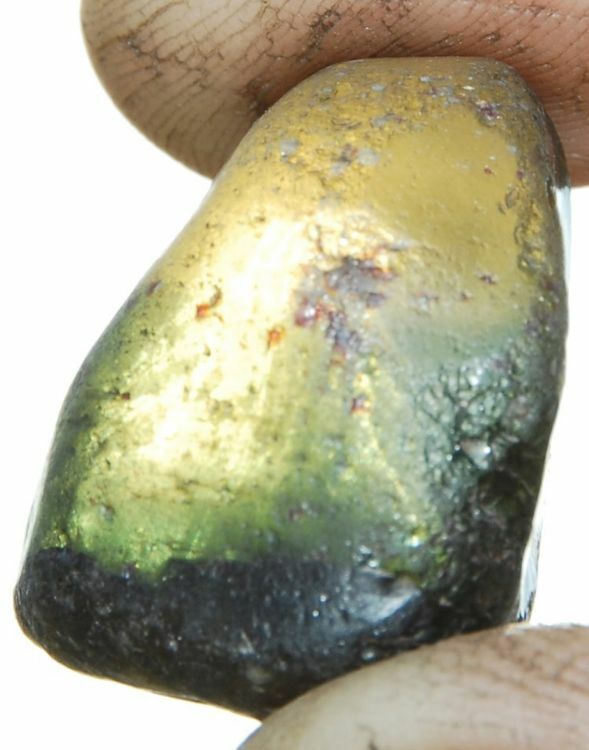 No financial gain is sought by the listing of these genuine Australian Stones - the $20 listing fee is to cover the website administration costs. Note: While every care is taken to try to ensure compliance with the requirements outlined in the Application Form, this website and its operators disclaim any responsibility for the accuracy of information provided or posted. 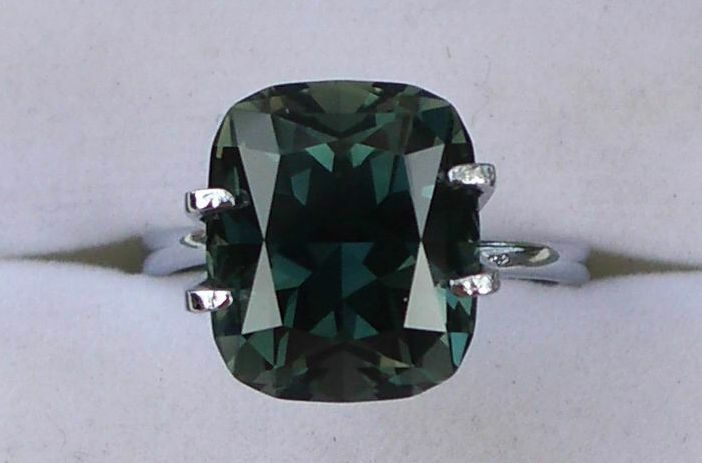 While the website provides a method of making potential buyers aware of the gemstones listed, the responsibility for all matters pertaining to any transaction remains between the vendor and the purchaser at all times.